3. The details matter. Don’t be petty. 4. It’s okay to be a Tourist doing Touristy Things. 5. Most airlines want to help – if you’re nice. 6. 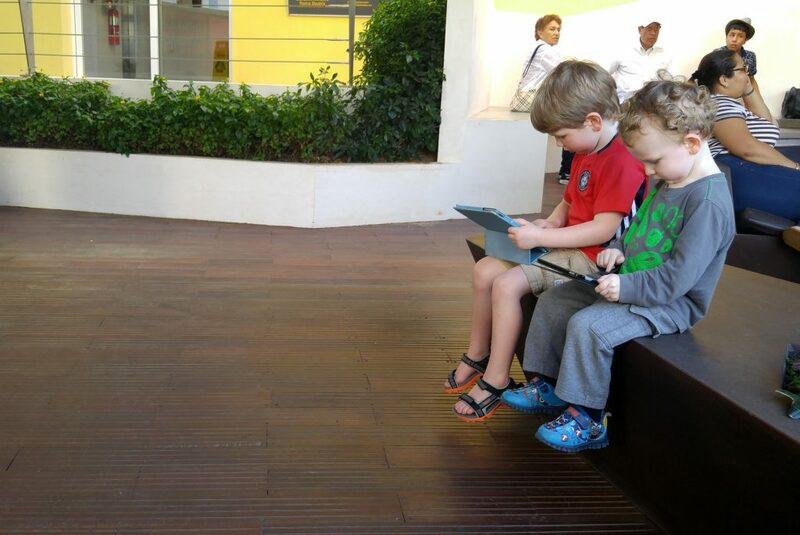 We are way too dependent on our devices. 7. We need to Disconnect and Reconnect more often. 8. Fear of wind is a real thing. 9. Country music ain’t so bad. 10. Visit at least one World Heritage Site every year. 11. Our planet is not happy with us. 13. South Florida is open for business. 14. Revisit the places that shaped who you are today. 15. Catching dinosaurs is a really cool experience. 16. It’s okay to visit Cancun in June. What about you? What did travel teach you in 2017? We had good intentions to write our ‘Year in Review’ post at the end of the year, but unfortunately we didn’t feel inspired to write over the holidays. The final few months of 2017 were not great for us, because of this, but we’re optimistic about the upcoming year. 2018 will be a milestone year for us – more on that here. Today, we’d like to share a few lessons learned from our travels in 2017. You can also read about what we learned in 2016. 1. You always think you have more time, until you don’t. A few months ago, my Dad passed away unexpectedly. Fortunately, we visited him in Ontario a few weeks before his untimely passing. We contemplated visiting him another time. Maybe next summer. We have more time, right? Wrong. 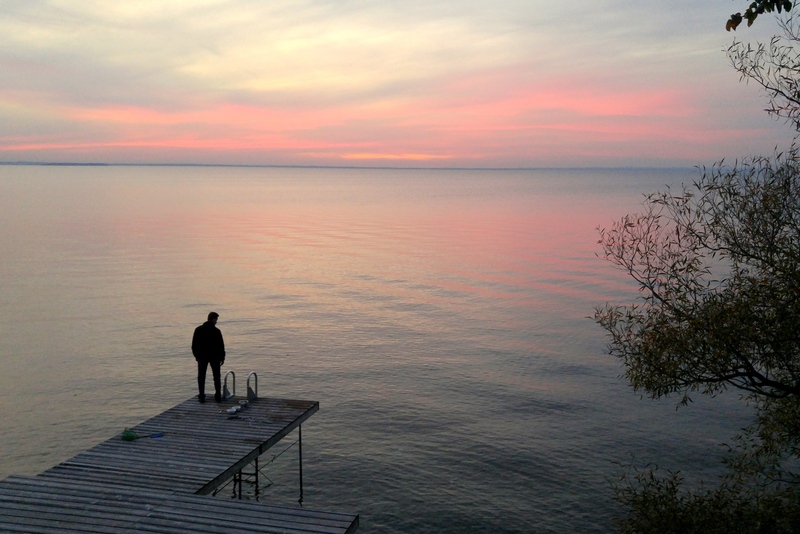 I am so grateful for the experience we had with him at Lake Simcoe this past summer. I would have been devastated if I had put that trip on hold. His passing has solidified the importance of not putting life on pause because of [insert excuse here]. Don’t make the mistake of thinking there will always be more time. There might not be. You only have one life to live – so live it! 2. 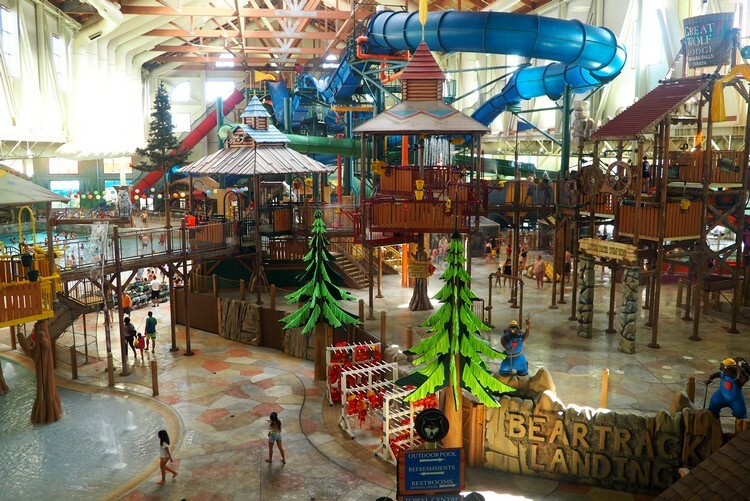 Make time for the attractions that are close to home. The photo above was captured at Joffre Lakes Provincial Park in British Columbia, located about an hour north of Whistler (2.5 hours from Vancouver). Spectacular, isn’t it? Can you believe it’s taken us almost 20 years to visit this lake? What the heck took us so long?! We often dreaming about traveling to faraway lands. But, sometimes, you will find exactly what you need within a few hours drive. How many times have you said, “I don’t have the time to travel, I’m too busy”. Or, the most common, “I don’t have money to travel”. Well, the easy solution is to visit the attractions that are close to home. 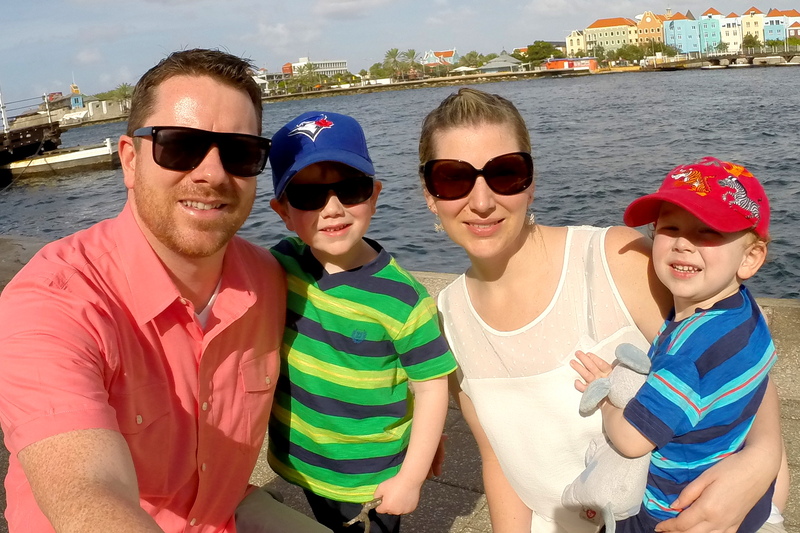 We splurged and stayed at a nice resort during our visit to Curacao (you can read about our experience here). It’s a great property located directly on the beach and within walking distance to the Curacao Sea Aquarium (which is awesome for kids, BTW). We had a fantastic time at the resort. The restaurant was good. The rooms were clean and modern. The pools were nice and quiet. The beach sunsets were outstanding. It was a fun trip. BUT – when people ask us about our time in Curacao, we can’t help but tell the story about how the hotel charged us $2 extra for a coffee pod. We spent over $1,000 for 3 nights at this property and the staff felt it was necessary to charge us for 1 measly coffee pod. Here’s what happened. We couldn’t figure out how to use the coffee machine and accidentally pushed the coffee pod through, before it had brewed. It’s an easy mistake to make. We love our morning coffee, so we called reception and asked if we could have another coffee pod to replace the one we lost. We weren’t trying to be greedy, we just wanted 1 cup of coffee each. That doesn’t sound unreasonable, does it? Let’s be clear – it’s not about the money. It’s only $2. What got us so annoyed was how cheap and petty the staff were about this charge. It ruined what was otherwise a great experience – all for $2. Niagara Falls is arguably the most popular natural attraction in Canada. It’s estimated that over 30 million people visit Niagara Falls each year, with numbers consistently increasing every year. That number is close to the entire population of Canada! 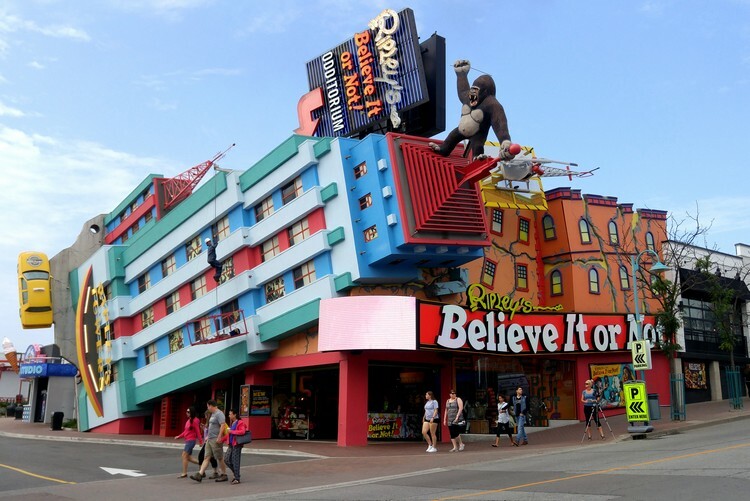 When we revealed that we’d be visiting Niagara Falls in 2017 we heard a lot of negative “it’s so touristy” comments. I can appreciate that not everyone is interested in touristy destinations, but we’ve found that these destinations are popular for a reason – because they’re fun! Sure, there are more line-ups and higher prices at these touristy destinations, but with that high demand comes more options. 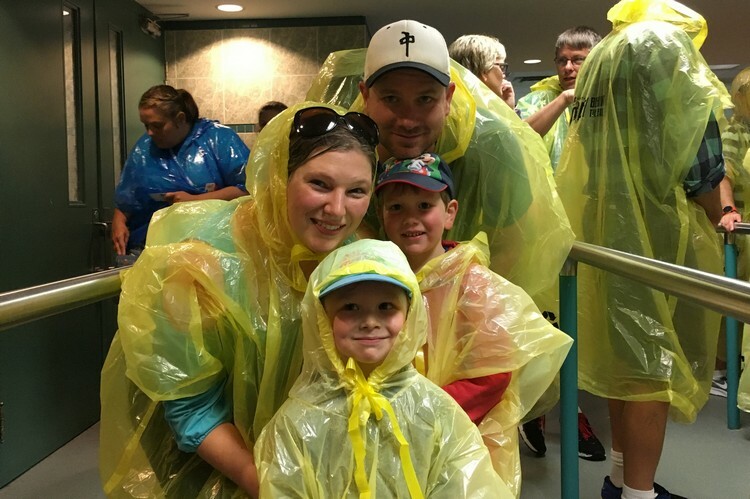 We enjoyed our time at Niagara Falls and would recommend it to other traveling families. There is so much to see and do around the Falls. We’ve been pretty lucky when flying with our boys. We rarely have flight issues and most of the time things go smoothly. That was not the case for our flight home from Aruba last February. There was a big snow storm in Toronto that delayed dozens of flights. Our connection to Vancouver was via Toronto, so were at the mercy of this storm. The agents at the airport in Aruba weren’t very helpful. It wasn’t their fault, they had limited information. They did their best – but it was a frustrating situation. In the end, we waited at the gate for over 9 hours before the plane arrived to take us home. There’s not a lot to do at Aruba’s small airport, so it felt like an eternity. Our boys did great, but they have their limits. During this time, we reached out to Air Canada on Twitter. We waited on hold for 30+ minutes before deciding to hang up and try our luck with social media. We empathize with airline agents. It wasn’t their fault the snow storm required flights to be delayed for hours. But they had to deal with the aftermath. Thousands of people were stranded, which meant hundreds of connections were missed and needed to be re-booked. People were angry. We were angry. Rather than yell and point the finger, we stayed calm and asked for help. Our kids were tired and we missed our connection in Toronto. The person working the Twitter account was able to get us booked on new flights later that night and they secured us a complimentary hotel room at the airport with food vouchers. It was a nice gesture. We all needed sleep – badly. The lesson – be nice to people, even when you’re upset. We ended up catching a quick connection in Toronto and therefore did not need the hotel room, but it was nice to know that they were trying to make the best of a crappy situation. Travel schedules don’t always go according to plan. It’s easy to blame and point the finger, but if you’re nice to the airline representative, you’re more likely to have that nice gesture reciprocated. Try it next time – even if the airline is wrong. Related – When in Aruba, visit De Palm Island. Here’s why. When I was in Charlotte last spring, my phone died. It just stopped working and would not reboot. Not having my phone rocked me in ways I can’t explain. Beyond the anxiety of not having my precious phone, I wasn’t able to do even the most basic things, like reading email or texting. And, because I was in a different country, I was unable to fix the phone until I returned home. That was a looooong 4 days. All of my email and social accounts have two-step verification, which means a text or notification will be sent to my phone in order to access these accounts. Guess what happens when you leave Canada and enter a new city in the United States? I’ll tell you what happens — you can’t access your accounts without two-step verification! I try to login to my email to get my flight details (because I can’t check-in using the airline app on my freakin phone!) and it denies me access because the verification is being sent to my phone that doesn’t work! I don’t print anything these days (we don’t even own a printer), which means all of my important info lives in the digital world. And, when you can’t access that info, life gets interesting (and not in a good way). I don’t know what the solution is, but it’s likely going to get worse before it gets better. Building on the last comment about our device dependency – it’s important to give yourself a digital detox and reconnect with nature. We’re all addicted to our devices these days, which makes it even more necessary to leave the devices at home and surround yourself with nature. That means you might actually need to bring your camera instead of your phone when you go hiking or camping or swimming. Now, that might not seem like a big deal, until you actually leave your phone at home and have to navigate the world without GPS. This year, take time to reconnect with nature WITHOUT your device. Have you heard of Ancraophobia? Most people have not. Basically, it’s an extreme fear of wind. It’s a rare phobia but it can cause extreme anxiety and panic attacks for those who have the fear. 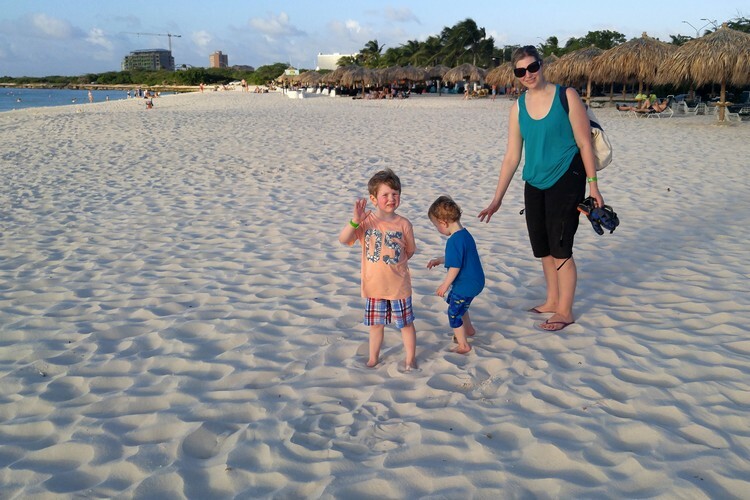 During our trip to Aruba it became clear that Connor, our youngest boy, has this extreme fear of wind. Because it’s always windy in Aruba, the moment we stepped out of the airport, and he felt the strong wind hit his face, he immediately freaked out and ran back inside the airport. The first few days in Aruba were really tough for him. The poor little guy was terrified and didn’t want to go outside. In the above photo, Connor is actually sitting in his stroller hidden behind that striped towel. Fortunately, that trip to Aruba helped him get over this fear. He’s now mostly okay the wind. Let me start by saying that I’m not a fan of country music. It just doesn’t do it for me. However, when I visited Nashville last summer, I decided to stop at a Honky-Tonk bar on Broadway Street (that one, pictured above). You can’t visit Music City without listening to some live music, right? I didn’t hate it. In fact, it was pretty good. Let’s be clear, I’m still not a fan of country music. BUT, if you find yourself in Nashville, it’s definitely worth checking out some live music – even if you don’t like country music. You’ll have fun, I promise. Every year we try to visit at least one UNESCO World Heritage Site. In 2017 we visited the Historic Area of Willemstad, Curaçao. As you can see from the above photo, Willemstad is quite the place. Its distinct architecture, vibrant colours and rich history make it a must see when visiting this Caribbean island. We believe it’s important to learn about a country’s heritage, both naturally and culturally. When you start planning your next big trip in 2018, check out this list of UNESCO World Heritage Sites and see if you can incorporate one or two sites into your itinerary. 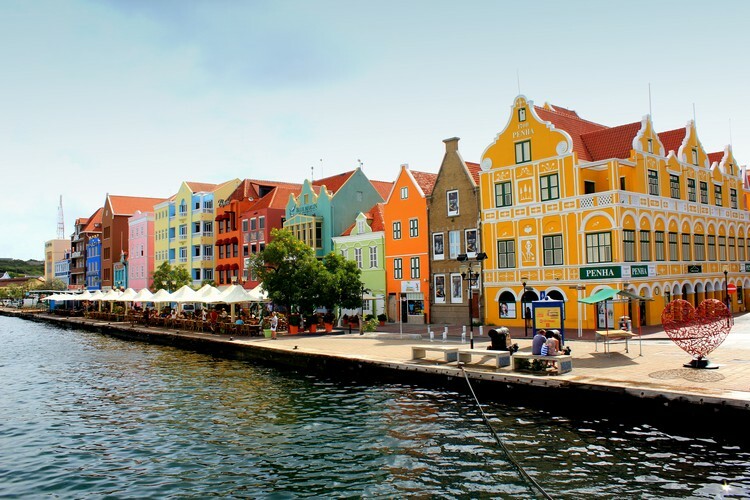 See more photos of Willemstad here. The summer of 2017 delivered the the worst wildfire season on record for British Columbia. During our time at Porteau Cove this past summer we were covered by a blanket of smoke for days (see the above photo as evidence – the sun actually looks like the moon). It feels like every year we find ourselves saying, “WOW, there were so many natural disasters this year”. The storms are getting stronger. The fires are burning longer. The temperatures are getting both higher and lower. Flooding, earthquakes, monsoons, landslides, drought – the planet is sending clear signs that it’s not happy with us. We have to do better. All of us. 12. Sometimes, NOT leaving your hotel is a good thing. 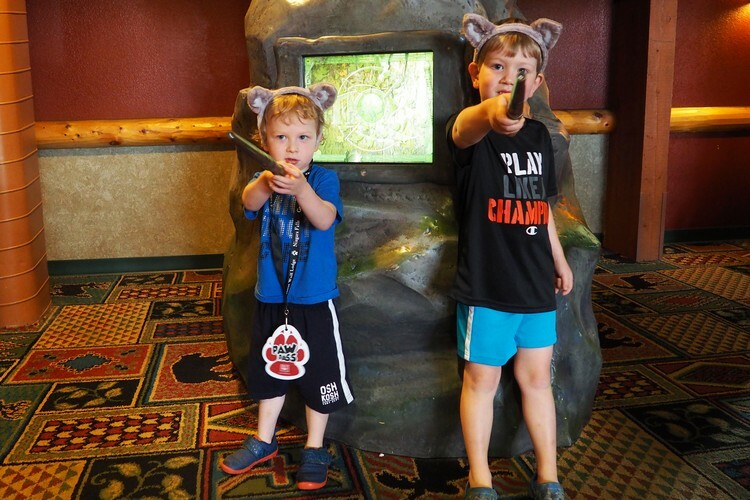 The Great Wolf Lodge in Niagara Falls is a destination all on its own. During our visit to Ontario last summer, we decided to spend a few days at the resort. We didn’t leave the property once. There was no reason to. We had everything we needed inside the resort. The photo below was captured from the second floor inside the hotel. It’s quite the place. I visited Fort Lauderdale 10 days after the devastating Hurricane Irma hit Florida and several Caribbean Islands in early September. I was tempted to cancel my trip, for obvious reasons, but reports said that power and water was restored and it was safe to visit. It’s not unreasonable to avoid destinations that have been the victim of a natural disaster. I’m happy to report that Fort Lauderdale is open for business. The above photo was taken from my hotel room at the Fort Lauderdale Marriott Harbor Beach Resort. As you can see, the community bounced back quickly. Most of the beaches are back to normal and businesses are open and ready to serve you. I was speaking to a taxi driver on the drive from the airport to the hotel. He was very worried about the impact of the hurricane on the local economy. Fort Lauderdale (and most of South Florida) is driven by the tourist dollar, so it’s vital that the tourists return this winter season. There are few places in this world that we will revisit again and again. Victoria BC is one of them. We love the city’s old town character and laid back vibe. Every time we drive off the ferry at Swartz Bay we feel a sense of calm wash over us. Victoria is a relatively big city, but it doesn’t feel or act that way. Victoria is the place where we first met. It’s where our family story began, so we felt it was important to retrace our steps and introduce our boys to the places we used to frequent. We visited in October over the Thanksgiving weekend (Canadian Thanksgiving), which was fitting, given the purpose of the trip. That trip to Victoria reminded us how important it is to revisit the places that shape who you are today. It puts life into perspective and allows you to clearly see how far you’ve come. Last summer, I went sturgeon fishing for the first time. I knew very little about sturgeon fishing prior this excursion up the Fraser River in Chilliwack, British Columbia. I had only been fishing a handful of times, but I had seen a few photos of these giant sea creatures online (like this one). If a catfish, crocodile and reef shark mated, the outcome would look something like a white sturgeon. They are not cute and cuddly. They look like underwater dinosaurs! Watch the video here. We spent about 6 hours on the river and caught 3 sturgeon that day. I would have been happy with just one, so I’d say this fishing excursion as a huge success. Most people avoid traveling to the Caribbean in the summer months, which is considered the off season. It’s much more humid that time of year and the chance of rain is high. I learned that visiting in June is actually not a bad time to visit Cancun – is there really a bad time to visit Cancun? It rained every day during my visit, but not for long. It lasted about 15 to 30 minutes and then it was done. I didn’t mind though. I actually like a little rain. It helps wash away some of the intense mid-day humidity. Read next – The first sunrise of 2018 was a memorable one! Love this list! Particularly your point about visiting places close to home. We are guilty of ignoring those too in search of places further afield. One of our biggest learnings during the year was to push outside our comfort zone more often as a family. It is so easy to do the same things, to not overly challenge the kids. But the times we have pushed, such as when we went white water rafting in Bosnia or took a self drive safari in Botswana, we have created some of our most memorable moments and family experiences that will stay with us for the rest of our lives.